A good many freelance businesses incur losses, and business losses reduce taxable income. That's a good thing because it means you pay less in taxes. If you also have a day job for which you're paid as an employee on Form W-2, a business loss could mean that you receive a bigger refund compared to someone who earned the same amount of wages but did not have a freelance gig side business. Reducing your taxes in this way is an excellent tax strategy. In fact, many tax professionals encourage people with high incomes to convert their hobbies into "businesses" so they have a loss. Not surprisingly, the Internal Revenue Service has caught on to this strategy. There's no hard-and-fast method for distinguishing between a hobby and a real business based on a tax return. There's no way to tell a legitimate business from a hobby except by using a general rule of thumb: If a business reports a net profit in at least three out of five years, the IRS presumes that it's a for-profit business. If a business reports a net loss in more than two out of five years, it's presumed to be a not-for-profit hobby. This rule places a huge burden of proof on young businesses. On the one hand, the IRS expects new businesses to incur a loss. It's normal for a business to have a year or two of losses before becoming profitable. On the other hand, it's likely that a business could have several years of losses before ever making a profit. The time and effort you put into the activity indicate that you intend to make it profitable. Your losses are due to circumstances beyond your control or they're considered normal in the start-up phase of your particular type of business. You or your advisors have the necessary knowledge to carry on the activity as a successful business. You were successful in making a profit with similar activities in the past. If the activity makes a profit in some years, the IRS will consider how much of a profit it makes. An audit to defend your business losses can be time-consuming and expensive. If you lose, the IRS will disallow your business loss. Your business expenses will be limited to the extent of your business income, which means zero profit. You'll have to repay some of your income tax, plus penalties and interest. And you'll have to spend time fighting the IRS and paying an accountant instead of focusing on making money. First and foremost, you must carry on your freelance work in a very businesslike manner. This means keeping good records and keeping a business diary that shows meetings with clients, deadlines, and projects. You should have business cards and a website that promotes your business and keep a log of freelance gigs you apply for even you don't land them. 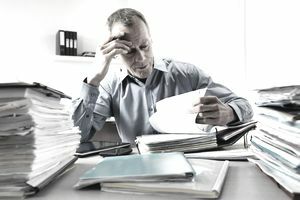 It will be harder for the IRS to prove that you're just a hobbyist if you arrive at your audit armed with a daily planner showing all this information. Additionally, the hobby loss rule of thumb applies to sole proprietors who file a Schedule C, so one of the surest ways to prove you're serious about doing business—you're not just engaging in a hobby and trying to write off your expenses—is to form a separate business entity for tax purposes. You can choose from several varieties of business entities, each with its own tax structure. Regular corporations are sometimes called "C corps" to distinguish them from Subchapter S Corporations or "S corps." C corporations have their own tax identification numbers and they file their own tax returns. If a corporation has a loss, that loss carries forward to offset the next year's profits. Corporations can have several years of losses and the accumulated losses can all carry forward to offset future profits. These are "pass-through entities." These businesses aren't taxed at the corporate level. Any profit or loss is passed through to its shareholders and the shareholders report the profit or loss on their personal tax returns. If you have at least one other business partner, you can form a partnership, but an S corp can be formed if you're the only shareholder or owner. Both S corps and partnerships report their profits or losses on a business tax return, then they issue Forms K-1 to each shareholder to report the shareholder's share of the profit or loss. The IRS assumes that the shareholder works for the S-Corp or partnership so it expects that at least part of the shareholder's income will be taxable wages. You'd have to pay yourself a reasonable salary in order to avoid an audit, and you'd have to pay tax on that salary even if the business isn't making any money. If you elect to form a partnership, your second shareholder could be your spouse, significant other, or any other person. It doesn't have to be a 50-50 ownership arrangement. Your partner could own as little as 1 percent of the partnership while you retain control of the other 99 percent. A limited liability company is designated by the state in which the business incorporates. It's not a separate federal tax entity. It's taxed as a partnership at the federal level or, if the LLC chooses, it can be taxed as a C corporation instead. If the LLC has only one shareholder, it might be a "disregarded" entity and taxed instead on Form 1040 Schedule C.
If you've already used up your two years' of losses and you've been filing a Schedule C, consider whether forming a separate business will protect your losses. Take into account the added cost of a potential IRS audit even if you ultimately succeed in defending yourself, plus the added cost of incorporating in your home state. You might want to consider forming a C corporation if your business activity is expected to be profitable over the long-term because current losses will reduce future profits. The IRS has explicitly said that the three-out-of-five-year rule does not apply to C corporations. If you expect that your business activity will continue to generate losses for the foreseeable future, consider forming a partnership or an S corporation. Current losses will reduce current income on your 1040, but future profits, if any, will not be reduced by previous losses. S corporations—or a partnership if you can find an additional shareholder—offer a middle ground between Schedule C sole proprietorships and regular C corporations. Paying yourself a salary in an S corp might sound like a disadvantage, but it has the effect of increasing losses and minimizing profits. Your personal decision should be made after weighing factors such as your other income, your marginal tax bracket, expectations of future profits, and your personal tolerance for record-keeping and dealing with the IRS. Incorporating requires more paperwork, but remaining a Schedule C sole proprietor means you have a greater chance of being audited.